Betrally Asian Handicap Betting is considered as one of the most profitable ways to gamble in football matches. It is a type of spread betting game hailing from Asia, and is sometimes referred to as Hang Cheng or Asian Line betting. The spread is known as the handicap or the line which is established in a way to guarantee 50% winning stakes in the bets. Winning chances are increased by adding a predetermined figure to the final goal tally of the underdog team (a team behind in goals or less favourite to its opponent). As the underdog winning chances are increased, the favourite team’s tally and winning odds are decreased. The handicap figures are defined as (+1 or -1) 0, 0.25, 0.5, 0.75 and 1. What is the selection of Asian Handicap bets at Betrally India? Asian Handicap is offered under the handicap betting section at Betrally. It’s an exclusive spreads game limited only to football bets. Asian betting is an available also option on mobile betting with winners being announced on a regular basis. What are the Asian Handicap betting odds at Betrally India? The handicap of spread applies to the underdog team in the match. A spread of 0 means you win the odds if the chosen team wins the match. It also means a Draw in the game, which translates to an immediate refund at the stakes. An Asian Handicap 0.25 is a win for the punter if the chosen team wins, it also means that any game ending in a draw results to a split in the bet. One half of the bet is a win while the other half is a draw that warrants refunding. A 0.5 spread means a win is guaranteed whether the match was won or drawn. Moreover, a 0.75 spread means a win whether the game was a win or draw. If the team loses by a one goal difference, the punter loses half the amount that was staked. Spreads of 1 means the gambler wins the stake on any draw or wins. Alternatively, a single goal difference loss results to a refund of the money staked. A -0.25 spread allows the punter to win the stakes if the chosen team wins. In the event of a draw, only half the amount staked is lost. A -0.5 spread means the punter only gains when their favourite wins the match. A -0.75 spread means the punter only gains when the underdog teams wins by 2 extra goals or more. If the win is by a one goal difference, the stake is split by half with one half a win and the other half a refundable draw. Finally, a -1 spread results to a gain only if the chosen team wins by 2 or more goals. If the win is by a single goal difference, the player is refunded their stake money. Does Betrally India provide Asian Handicap bets at Live Betting? Unfortunately, Betrally doesn’t provide Handicap Betting at Live Betting. The Asian Handicap is a spreads concept currently popular in Asian and the Australian continent. However, there are online betting websites that provide handicap betting like Asian Capper and Australia Sports Betting. Betrally also offers the betting spreads. Handicap bets are presented in a live betting table with three columns. The first column lists all the football teams currently playing and which punters have placed bets on. The middle column shows the Asian Handicap stakes while the last column shows the winning odds. The Asian Handicap column determine whether you win or lose and by how much, while the odds column gives you the total amount of stake wins at the end of each match. 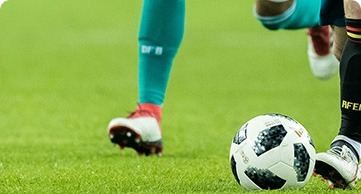 For uniformity purposes and prevention of disputes, stake wins are always calculated at the end of the match and at the exact point the punter placed a bet. If you bet in the middle of a game, the goals prior to your bet will not be regarded and stake wins will be determined by the outcome of the game. Are there any special rules for betting with Asian Handicap at Betrally India? Goals are only counted from the time the player places their bet. If it’s at the beginning of the game, all goals that result in the outcome are counted. A player joining from any point of an ongoing match gets their odds calculated from the goals scored after their joining. This ensures fairness is maintained in all stakes played. To qualify for an Asian Handicap game, the punter needs to register an online account with Betrally after which they deposit their money to start playing. Betrally online casino is available live on the Desktop as well as the mobile betting platform. Asian Handicap is only applicable to live football matches and no other sport at Betrally. Asian Handicap is not a popular spreads game globally as it is in the continent of Asia. Australia is the only continent that has picked up the concept faster and applies it to its live football betting matches. Currently, Asian Handicap is offered in a select online betting websites like Pinnacle Sports, 12Bet, Betrally, AllYouBet and Asian Capper. The Handicap Betting section at Betrally opens with a comprehensive page that explains how Asian Handicap works. The page follows with an easy to grasp table that explains the difference Handicap spread and what each spread means to the punter. At the bottom of the page, the gambler will find an example of how to calculate winning using the spreads-odds table provided by Betrally. This is a quick tutorial helps the user understand what handicap betting is and how they can take advantage of it.